To celebrate our recent integration with GIPHY, the most logical thing to do was host a Roller Disco. 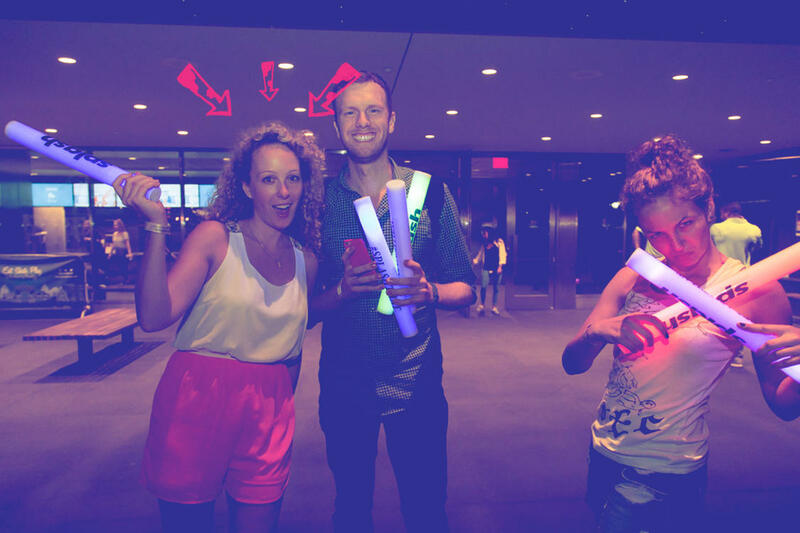 We booked out the entire LeFrak Roller Skating Rink in Prospect Park and filled it with New York City’s finest: I’m talking full-on neon tank tops, striped tube socks, bootie sweat-shorts, 70s mustaches, gold chains, leisure suits and Zumba pants. 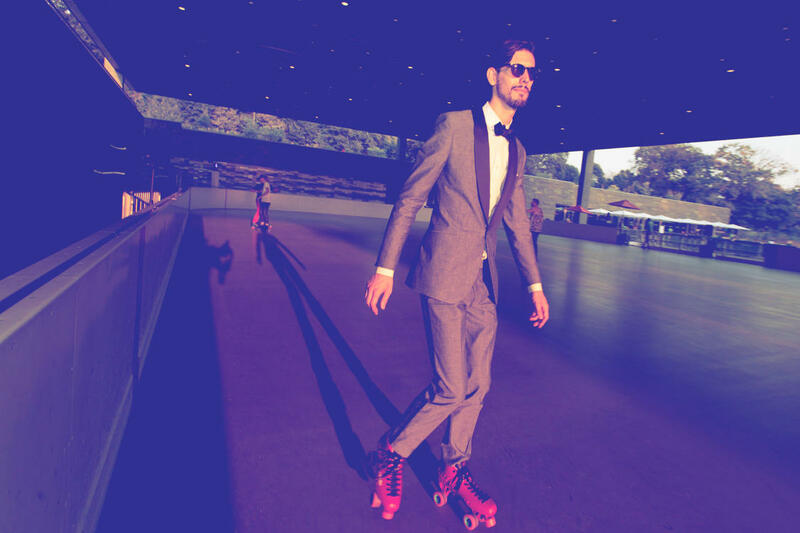 I even saw a guy roller-skating all night in 90-degree weather in a full tuxedo. Bow-tie and all. True story. One of my favorite parts of the night were some impromptu performances by Jake, Michael, Jovan, Dahi and Caleb of Hudson Horns. If you've never seen these guys, I suggest you drop everything and check 'em out now. Incredible. Major thank yous to everyone at GIPHY (what's up, Julie?! 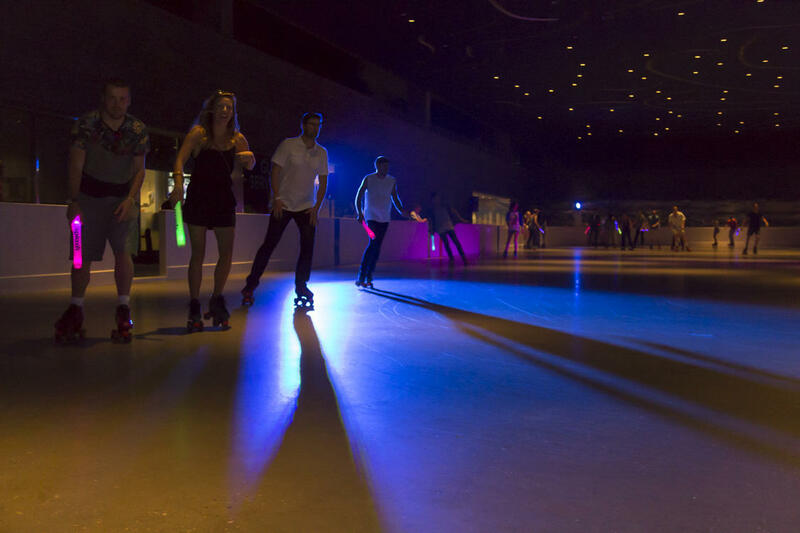 ), the team at LeFrak Roller Skating Rink, our honorary Party Scientist Amie Segal from Flavor Productions, and to all of you lovely ladies and lads who came out yesterday to get your groove on with us. You looked good out there. You ready to feel the FOMO? Check out some photos below or head over to the Splash page for more. Debbie Lee is the Marketing Coordinator at Splash. She is responsible for keeping the entire Splash community in-the-know on social, and for planning, executing and facilitating a variety of marketing campaigns across all touchpoints. A recent graduate of Villanova, Debbie decided to join Splash not only to become a Certified Party Scientist, but also for the office dogs. Although social media is life, you can find Debbie sinking a golf putt, enjoying a midday doughnut, or exploring everything New York City has to offer.